Core stabilization – Having strong core muscles provides much-needed support to the lower back and can be important in avoiding injury. Improve your posture – If your job involves sitting, use an ergonomic chair. You can also use your phone to set a timer to remind yourself to get up and walk around a bit at least once an hour. Lift correctly – We’ve all heard “lift from your legs and not from your back.” Proper lifting technique can help you to avoid injury to the muscles, discs, and joints of the lower back. The function of the spinal cord is to transmit signals to and from your brain. All of the nerves in your body have their origins in the spinal cord. In order to function normally, the spinal cord should not have any stress or torque present. The entire structure of the spine functions as a unit. When the topmost bone in your spine, the atlas, misaligns, it creates spinal cord tension. This tension leads to a distortion of signals that can cause imbalances in posture. This chain reaction causes unequal muscle tension and weight distribution, ultimately causing pain and discomfort in the lower back. In many instances, the patients who find their way to our offices have tried a general chiropractic approach consisting of repeated adjustments to the low back. Oftentimes, this would provide some measure of relief, but it wouldn’t last. The upper cervical approach we take at Mountain State Wellness looks at the entire picture. While it may not seem logical at first—knowing that the entire spine is connected and that low back pain is often a compensation—addressing a primary misalignment that happens at the very top of the spine can be key. Getting the atlas corrected will remove the stress and tension on the spinal cord, reduce muscular imbalances, and allow normal posture to be restored. Migraines continue to be the topic of numerous studies and research papers, and for good reason. While migraines affect 37 million people in the US alone (that’s about 1 in 8 people), shockingly little is understood about this condition. The one thing the medical community seems to agree on is that they keep coming back to the brainstem and blood flow as the source of the problem. A huge study completed this year involved the study of tens of thousands of migraine patients and control cases. 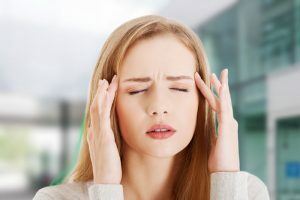 Geneticists were trying to find a connection between migraines and vascular problems by looking at genetic markers and comparing the difference between migraine and non-migraine patients. What were the results? 38 regions of the human genome were pinpointed as relating to migraine patients. Not surprisingly, many of these genes also play a role in vascular function. As a result, it seems that some may be predisposed to vascular issues that result in migraines. 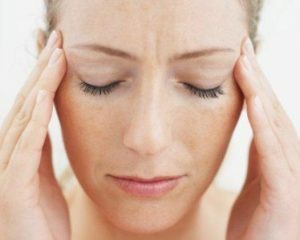 This helps make the connection between migraines and blood flow problems even clearer. But blood flow isn’t the only thing that affects the condition. We also clearly understand that migraines are neurological in nature. The particular part of the brain that researchers have pinpointed is the brainstem. The brainstem along with trigeminal nerve are the body’s primary route for sensing pain. Brain chemistry also plays a role as serotonin levels and other factors are involved in the central nervous system’s ability to regulate pain. Because of this, it becomes clear that both neurological and vascular function need to be the focus when a patient suffers from migraines. 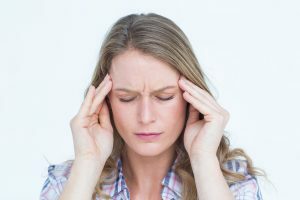 Regardless of what triggers a migraine attack for patients—food and drink, weather changes, missing meals, not getting enough sleep—reducing the frequency and severity of migraines on a long-term basis has to come back to reaching the underlying cause. That brings us to a 2015 report on how NUCCA care helped improve quality of life for migraine patients. NUCCA is a particular form of upper cervical chiropractic and is the methodology we adhere to at Mountain State Wellness. NUCCA involves a low force correction. That means you don’t experience the neck jerking and twisting involved in general chiropractic but rather a gentler approach. What are the benefits of such a technique? When the neck is moved roughly, more swelling takes place, and the body immediately tries to correct the damage. When the correction is gentle, the body doesn’t have the same reaction. As a result, realignment lasts longer giving the body more time to heal. What Does the Neck Have to Do with the Brainstem and Blood Flow? If the atlas (C1 vertebra) is misaligned, even slightly, such a subluxation can place pressure on the brainstem. This is because the C1 houses and protects the brainstem right where it meets up with the spinal cord. Blood flow to and from the brain can also be restricted as the quality of life study noted above mentions in its conclusion. The study found that individuals who had suffered a concussion at some point in life experienced a problem with venous drainage. If you have ever experienced any degree of head injury and now have migraines, it is important to see if the atlas is properly aligned. Otherwise, the subluxation may be causing drainage issues that eventually led to the migraines. A correction may allow proper flow to resume and symptoms to be reduced. You may be just one consultation away from learning where your pain is really coming from. A visit to your family medical doctor when you’re having a bout with sciatica will usually yield a fairly predictable course of action. The first step is often over-the-counter anti-inflammatories, such as Advil, to try to reduce swelling and pain. In more severe cases, prescription muscle relaxants or steroids may be used. If the sciatica is a result of a herniated or degenerated disc in the lower back, surgery might be recommended. If you’re looking for a natural approach to treating sciatica or just wanted to try a safe and conservative route before resorting to medications and possible surgical intervention, then we might be able to help you. Upper cervical chiropractic care may give you lasting relief from lower back pain and sciatica by identifying the area of the spine that is causing everything else to shift out of balance. We know it might seem strange to address a lower back issue by starting with the neck, but the truth is the entire spine is linked. A small shift of the atlas vertebra at the top of the neck creates a domino effect down the spine, causing distortions in your posture, muscle spasms, and compensations throughout. Once the head is realigned normally over the body and compensation is no longer necessary, the pressure from the sciatic nerve is released, and the healing process can begin. Our thorough evaluation process will identify if an atlas misalignment is a contributing factor in your sciatica, and if so, our gentle adjustment will help your body to restore normal alignment and normal nervous system function. Millions suffer from whiplash injuries around the world. In the US alone, a reported 1.2 million are reported annually. In recent years, efforts have been made to address current trends in this regard. A new disorder known as Cranio-Cervical Syndrome has impacted the medical community. This new syndrome highlights the fragility of the human neck and research shows that damage to the neck can restrict the flow of cerebrospinal fluid. However, sufficient relief from symptoms and lack of accurate diagnosis persist. The syndrome may be newly named and now prominently featured at medical conventions, but those suffering from the host of symptoms it presents have long been seeking upper cervical chiropractic care. Over 80 years ago, what these specially trained chiropractic doctors call atlas subluxation complex syndrome was identified. Happily, advancement in research and technology is beginning to point the rest of the medical community toward this important area of the human body. Medical examinations have shown that old neck and head injuries, such as whiplash, are commonly seen in those diagnosed with this syndrome. Relief from the symptoms listed along with headaches and migraines can be realized. Gentle realignment of the upper cervical vertebrae can restore the normal flow of cerebrospinal fluid and release pressure that can build up and cause the wide range of effects listed above. To understand sciatica, you first need to understand the low back. The sciatic nerve has its origins in the spinal cord and is formed by the nerve roots that branch off from the lumbar spine, the 5 lowest vertebrae in the spine. The sciatic nerve travels from the lower back, through the buttock, then extends down the back of each leg to the foot and ankle. Sciatica is an irritation of this nerve somewhere along its course, and this irritation can be extraordinarily painful. Arthritis – degeneration can cause bone spurs that can pinch nerves associated with sciatica. Treating sciatica symptoms can be difficult. Sometimes, over-the-counter painkillers aren’t enough to take the edge off the pain if it’s severe. Avoiding sitting is also recommended, which isn’t always possible in many instances when a person’s work requires it. 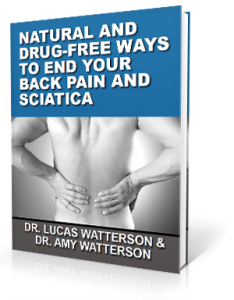 While it may be very simple to assume that sciatica sufferers have a primary problem with their lower back, many times that isn’t the case. The lower back can be a big area of compensation for spinal issues in the neck. When the atlas, the topmost vertebra in the spine, misaligns, it sets off a domino effect of compensations throughout the spine. A small misalignment of the atlas can lead to a tilt of the head and uneven shoulders and hips, causing abnormal muscle tension and spasm in the mid and lower back. While the pain may all be centered on the low back, buttock and thigh, the actual source of the problem can be elsewhere. This becomes a problem since a general chiropractic approach will often miss this important fact. At Mountain State Wellness, we utilize the NUCCA technique, a very specific and gentle approach to correcting atlas misalignments. Many people are initially surprised to learn that their sciatica has its origins in the neck and are relieved to have finally found an approach that will address the cause and not just the symptoms. If you’ve tried a general chiropractic approach without any success, our practice may be the perfect fit for you! Proper footwear – ladies might benefit from ditching the heels in favor of flats, which will decrease the pressure on the lower part of the spine. If you’ve already tried these tips and your lower back pain is still nagging, chances are the underlying cause hasn’t been addressed. While these ideas can be helpful in a pinch, if the root cause isn’t addressed, the pain can become a more chronic issue. Understanding the mechanics and function of the spine is key to getting to the bottom of lower back pain. The spine is made up of 33 vertebrae that work together to provide protection for the spinal cord. The uppermost vertebra that sits just beneath the skull is the atlas, which is like the first link in a chain. When this link shifts away from its normal alignment, it affects everything below it. In the spine, this creates abnormal tension on the spinal cord and nerves, which leads to improper signals being sent and received over these nerves. This can cause many issues in the body including postural distortion, muscle spasm, and pain. While the pain you’re feeling is in your lower back, the actual cause of the pain may very well be coming from the neck. All the adjustments in the world to the low back wouldn’t help in this case, and may actually stand to make things worse. While it may seem counterintuitive to receive treatment in an area that may not be symptomatic, addressing the atlas misalignment can bring the entire body back into balance and relieve lower back pain. Contact us for your free consultation today – your lower back will thank you! Migraines are perhaps the most common neurological disorder. At some point, nearly half of all people will experience a migraine or, at least, a headache. Migraines can be particularly debilitating and may impact a person’s family, social, and professional lives. On CBS News, it was reported that a new way to treat migraines is emerging. The April 17th report from last year showed that focus is now being placed on the neck. One of the study’s researchers explained the way that misaligned vertebrae in the neck can cause migraines. However, the treatment these researchers recommended was rather invasive. With the help of x-rays, a doctor would need to inject the neck’s spinal joints with an anesthetic. This would numb the nerves and provide temporary relief by stopping the pain at its source. While this approach is a step up from medications that only cover the symptoms, there is still the fact that it involves an injection into the neck. Ouch! Plus, it is still just a temporary solution and would have to be repeated. Is it possible that a better way to relieve the neck issues that cause migraines already exists? The fact that migraines spring from a misalignment of the vertebrae in the neck is old news to upper cervical chiropractors. This is where we focus our energies to combat many symptoms and chronic conditions. However, there are no needles, injections, or medications involved. Just gentle and specific corrections to fix the misalignment long-term. If you are tired of hearing the words “temporary relief” in connection with your condition, visit us at Mountain State Wellness and find how upper cervical chiropractic can provide you with the long-term solution you’ve been searching for. 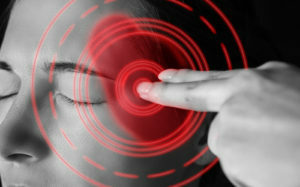 Many patients see a drastic decrease in the frequency or severity of their migraines right from the first adjustment. Lower back pain is extremely common, and it makes sense as to why – the vertebrae in the lower back carry the brunt of our weight thanks to gravity. While it’s common to experience some lower back pain or soreness after heavy lifting or sitting for an extended period of time, the pain sometimes becomes a chronic issue. For some, the pain will radiate along the sciatic nerve, which travels from the lower back to the buttocks and down the leg. This pain can be extremely debilitating and can affect a person’s ability to do even the simplest of daily tasks, like taking a shower. Many people know that chiropractors can help with lower back pain. In our office, we take a different approach to lower back and sciatic nerve pain that has helped our patients to achieve lasting relief. While on the surface, it may seem odd that your neck may be related to your lower back pain or sciatica, in reality, the connection is very real. Because of the shape and biomechanics of the atlas vertebra, the topmost vertebra in the spine, it is extremely likely to shift out of position following an accident, injury, or just daily repetitive movements. When this occurs, it places tension along the length of the spinal cord. This causes compensations throughout the spine, leading to muscle spasms, pain, and postural distortions. When muscle tension occurs asymmetrically on one side of the body, this can cause one hip to be elevated, leading to a shortened leg on that side. These imbalances can place great stress and strain on the lower back and sciatic nerve. At Mountain State Wellness, we look very carefully at atlas misalignment as the keystone to the entire spine. When the atlas is off, the rest of the spine follow suit. This is how we are able to accomplish lasting results for our patients with lower back pain and sciatica. Upper cervical chiropractic is highly specific and extremely gentle. Our adjustments are customized for each individual patient and are designed to hold in place for maximum healing. If a general chiropractic approach hasn’t worked, or if you’re tired of treating your lower back pain with medications, then upper cervical chiropractic may be exactly what you’ve been looking for.